​​​​​ DALLAS – Hillwood Properties is building a new $110 million industrial park on Chalk Hill Rd., south of I-30. The almost 100-acre development is planned for one of the largest tracts in the Pinnacle Park area of West Oak Cliff and will include multiple warehouse and distribution buildings. Hillwood has already filed construction permits with the city for more than 2.3 million sf of industrial buildings along Chalk Hill Rd. and West Davis St. The industrial district west of downtown near I-30 is one of the most successful warehouse and distribution markets in North Texas. 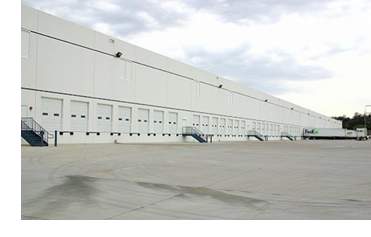 DFW is one of the country's fastest growing industrial real estate markets, with more than 20 million sf of warehouse space in the development pipeline. ​See a​lso: Dallas-Fort Worth-Arlington Industrial Market Research​.